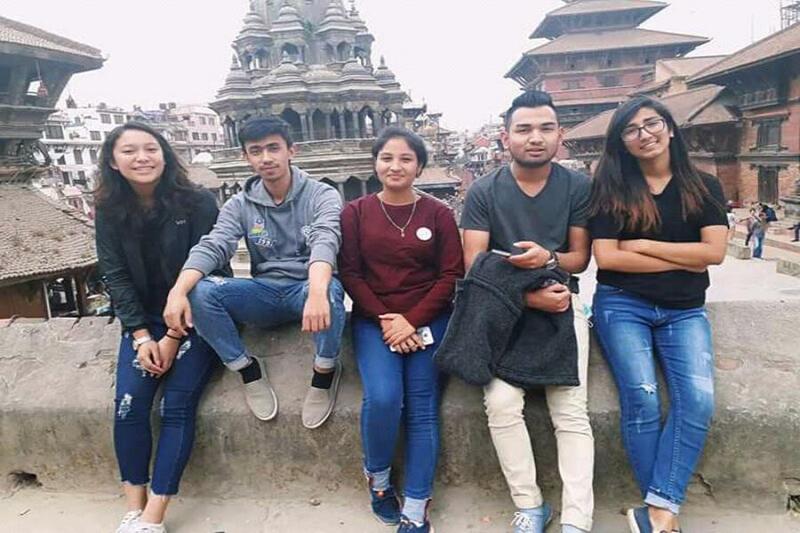 LALITPUR: So, you are thinking of hanging out with friends then I will be suggesting you a perfect place inside Kathmandu .ok that’s none other than a Patan durbar Square. Patan Durbar Square is situated at the centre of the city of Lalitpur in Nepal. The Patan Durbar Square is called Chaukot Durbar and Mangal Bazaar It is one of the three Durbar Squares in the Kathmandu Valley. The district that has set itself apart due to its historical, religious and traditional heritage is also known as Patan or Yala in Newari. The major temples can be found in and around the palace are : Bhai Degaa, Maharani Pokhari, Octagonal Krishna Temple, Shiva Pagoda, Hari Shankar Temple, Shiva Temple, Narshimha-Vishnu Temple, Jagat Narayan Temple, Krishna Temple, Vishwonath Temple, Bhimsen Temple, Mani Ganesh Temple, Degutale Temple, Taleju Temple, Shiva Pagoda, Ganesh idol, Hanuman idol and Hanuman idol. The Patan Durbar. More than that, there are a lot of coffee shops and café and hanging area around the place despite the temples and monument. Patan Durbar Square is clean and fresh. The art and artcheture of Patan Durbar is mesmerizing and enhancing its beauty. The freshness of the place has been best destination of the youth. Early morning or late evening you can see the bunch of youths surrounding the place with the cup of coffee in the hand in winter and cold drinks in the summer. (café de patan,NPP,Durbar,honacha,Nandini food court,Himalayan java,the coffeepoint,Daleen) If you want to visit the Patan durbar palace museum. Then you have visit the place between 10:00 am to 5:00 pm. Lastly the reason why I love the place is because it has unquie art and archeitecture which does mesmerize me ,the outstanding architectures and the freshness make me feel that it is one of the best place to hangout with friends .I will suggest you all to visit the place and have fun.